LatinaLista — At a time when it’s physically dangerous to champion environmental causes — the international environmental watchdog Global Witness documented a 59 percent rise since 2014 in the murder of environmental activists worldwide — it would seem political suicide for any politician to advocate for the same causes. 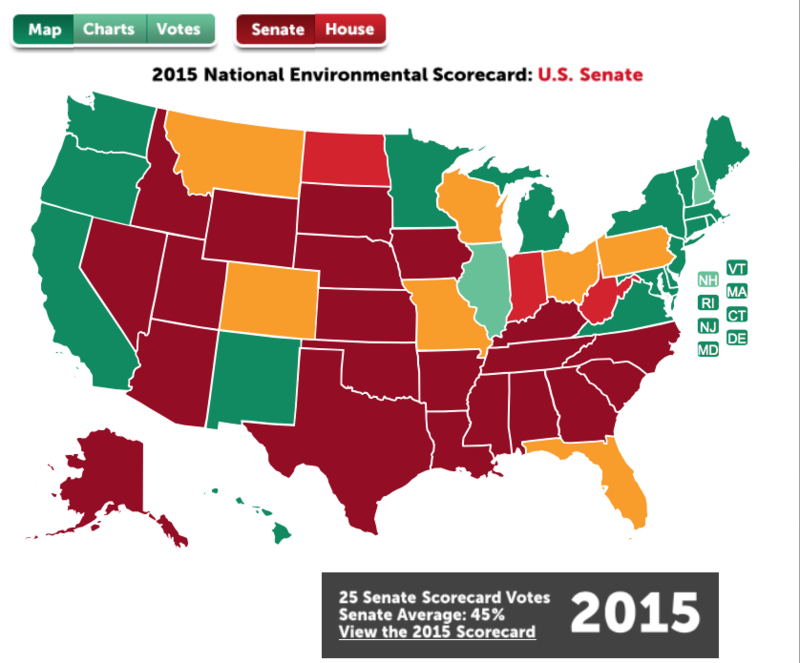 Yet, according to the recently released 2015 National Environmental Scorecard issued for over 40 years by the League of Conservation Voters (LCV), Latino congressional members are among the most fearless of their colleagues when it comes to championing the environment. In a factsheet distributed by Chispa, a program of the LCV focused on empowering the Latino community regarding environmental issues, the majority of Latino Congressional members are putting the needs of their constituents before career longevity. With many Latino neighborhoods bearing the brunt of air and water pollution and climate change, most Latino Congress members recognize that the quality of the environment for their constituents is a human rights issue. Unfortunately, even a casual scan of the list underscores how divisive party loyalty can be. Latino Democrats in Congress had an average score of 87 percent.